May | 2014 | ohdenny. On my way back from a day trip to The Great Ocean Road and Otways, we wanted to stop by Torquay for lunch. Being later in the arvo, but still with plenty of people about, we came across Tapas Cafe. It’s a small-ish cafe but enticing nonetheless. 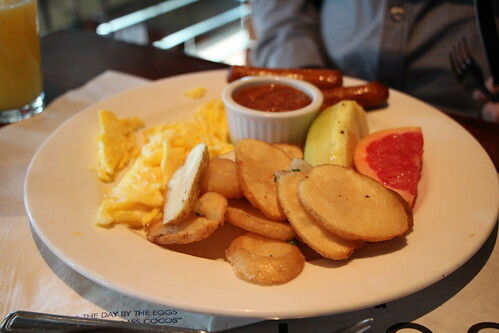 Their menu is typical of many seaside cafes, but with a hint of Mexican cuisine on their menu. 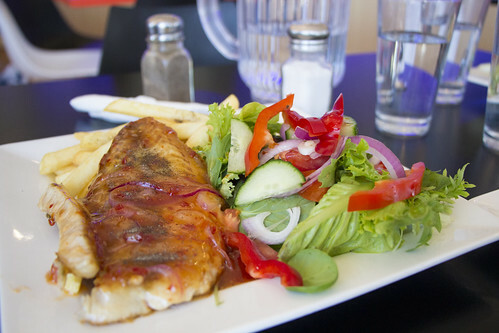 Pictured above is their Sweet Chilli Fish with fresh salad and chips. Perfectly cooked fried fish with a sweet chilli sauce to match, it’s an interesting choice and it lets the fish flavour come through. The salad underdressed (not dressed at all) and with the fresh capsicum, I found it to be an odd addition as the salad was overall quite dry without any dressing. 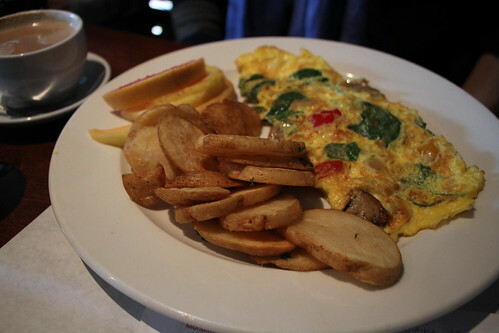 It may not be the best dish I’ve tasted, but definitely satisfactory. The Quesadilla with corn and cheese and spicy guacamole and salad was great on the other hand. 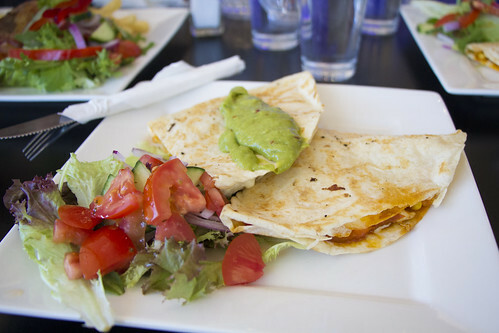 I loved the quesadilla with the melted cheese and corn, although quite thin it’s richness compensates for a filling meal. The guacamole I found lacked the avocado flavour but that may just be due to the avocados being more subtle in flavour. Tasty dish. Tapas Cafe doesn’t appear to be too well known in Torquay but I think it offers something a bit different to your standard cafes or fish and chip shops which is welcomed warmly in my book. Prairie Girl Bakery in Toronto is quite well known. Famous for their beautiful cupcakes in either Buttermilk or Dark Cocoa as their base and also speciality cupcakes for an special occasions or events. 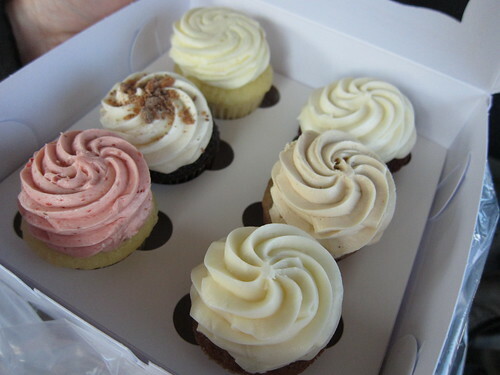 Choices are varied and you won’t be satisfied until you haven eaten an entire cupcake. Prairie Girl Bakery was recommended by my now Toronto based (ex-Melburnian) sister, and these cupcakes do indeed live up to her recommendation. 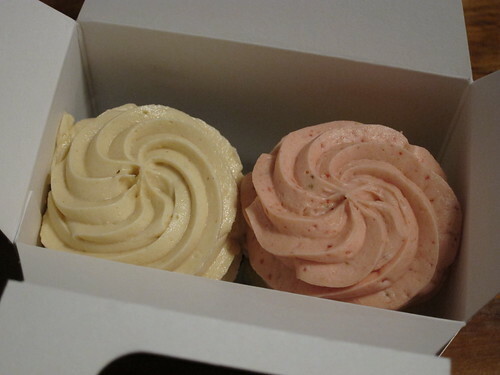 Delightful in its flavour and sweetness and their Peanut Butter iced cupcakes are something you would hardly ever find in Melbourne. Their array of cupcakes knows no bounds, and honourable mentions to the Lemon Icing Buttermilk Cupcake, Peanut Butter Dark Cocoa Cupcake, Red Velvet Cupcake with Cream Cheese Icing and the Banana Cupcake with a Peanut Butter Icing. 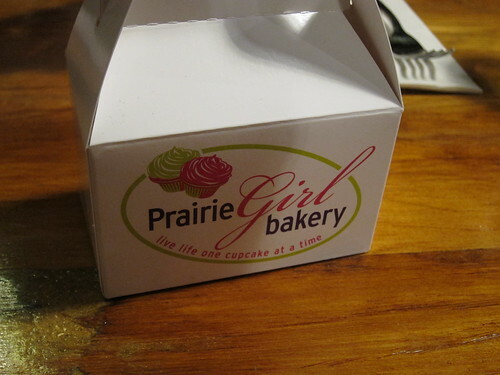 Those were the clear stand outs at Prairie Girl, and I found the Dark Cocoa cupcake base to be exceptionally moist compared with the Buttermilk Cupcakes but both were great cupcake “cakes”, if you know what I mean. I really did love the Peanut Butter icing, it tasted rich but not overly sugary sweet so the peanut butter flavour didn’t seem in any way artificial, paired with the moist dark cocoa cupcakes and ding ding ding, Prairie Girl, you have a winner. 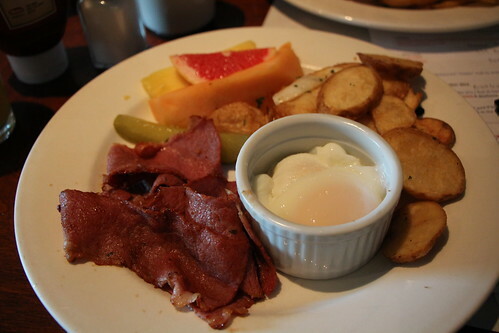 Prairie Girl earns its self proclaimed name as Toronto’s best, and it’s a must for those travelling to Toronto and in need for something a little bit sweet. 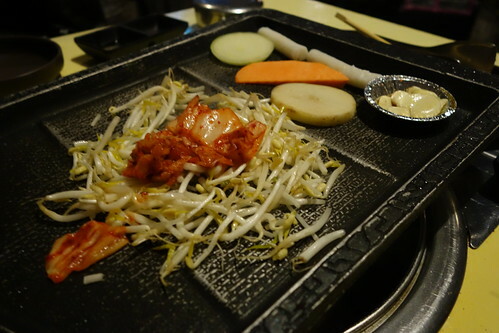 Melbourne is abuzz for ChangGo, one of the many Korean BBQ restaurants that have appeared in our city in recent years. The waits can be excruciatingly long and the waiting system is basically taking a ticket and writing your name down on the list and you just wait around the venue listening for your name to be called out. I guess you must suffer a bit to be able to enjoy their food. 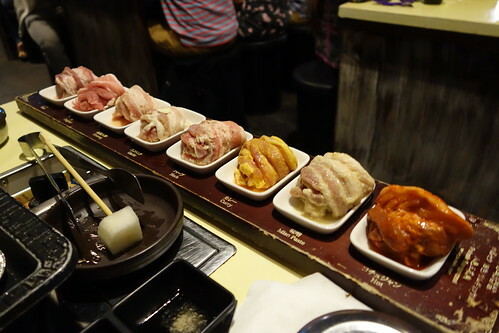 One of ChangGo’s specialties on their menu is their 8 ways marinated Pork Belly which consist of wine, original, ginseng, garlic, herb, curry, miso paste and hot flavoured Pork Belly. 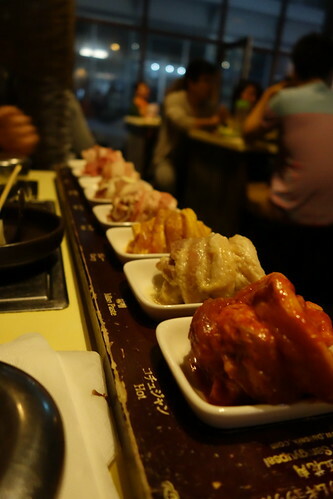 For a group of two to three, the amount of pork on offer here seems to suffice. With the Pork Belly, they provide Kim Chi, an assortment of vegetables, and a spicy Seafood soup. 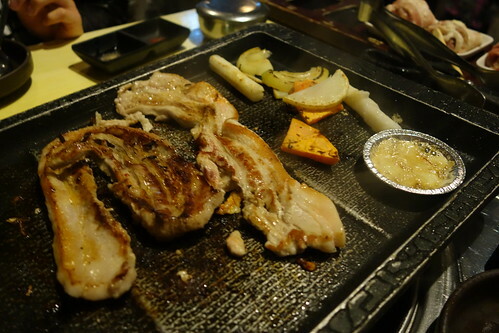 At night, the place can be packed and the staff are definitely challenged in assisting everyone with their cooking. So basically, it’s DIY BBQ. The Pork Belly they provide you is on the fattier side of pork that I’ve come across but nonetheless the flavours offered are varied. The Garlic, Herb and Hot marinated Pork Belly’s were probably my favourite ones because they were flavourful but let the pork shine too. 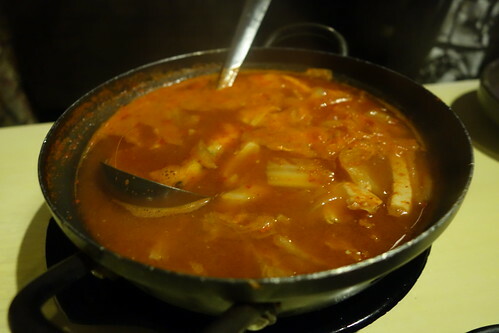 The Spicy Seafood soup here is wonderfully tasty and best on a cold winter’s day. Not too spicy but enough to tingle your tastebuds and the soup base is exceptionally satisfying. 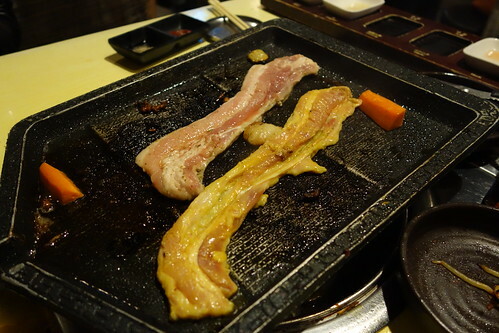 ChangGo does Korean barbeque well, apart from the overly fatty Pork Belly that is. 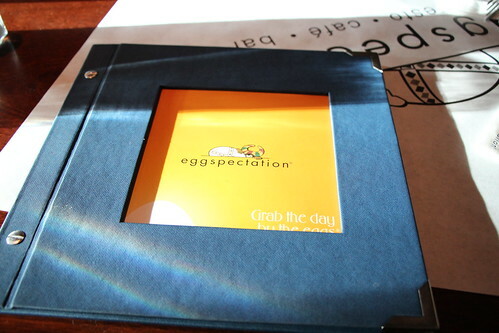 Flavours are overall tasty and for $60 (for the 8 Ways Pork Belly), I find it great value for money. Once you dine here you can see why the waits during peak times can exceed 30 mins. I’d definitely recommend dining here if you feel like some charred meats. My love for ice cream knows no bounds. 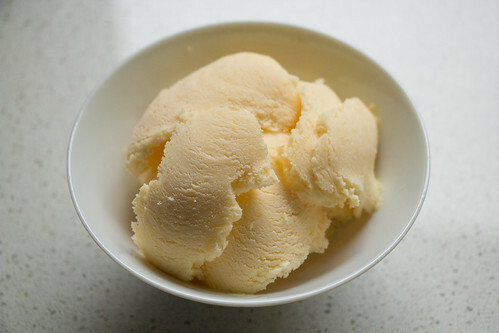 Being able to create my own ice cream from ingredients I’m familiar with is something I’ve always wanted to do as I love making things from scratch (if it isn’t too troublesome that is). 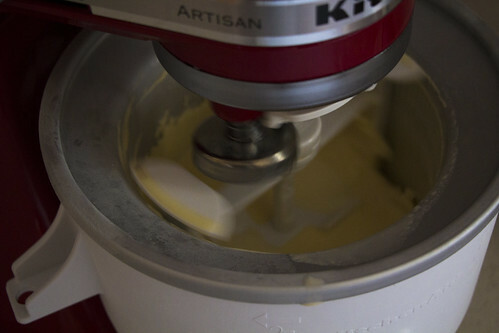 Last year, I purchased the KitchenAid Ice-Cream maker attachment and have been giddy with excitement waiting for Summer to come to test it out. 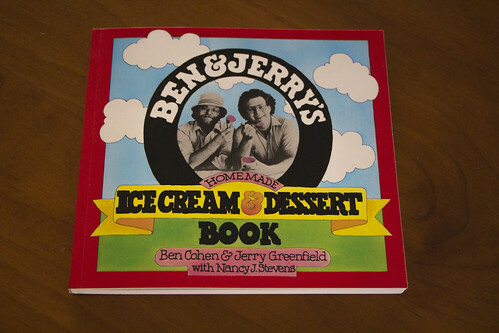 Having also bought the Ben & Jerry’s Homemade Ice Cream & Dessert Book, it was a good time to give it a go. 4. 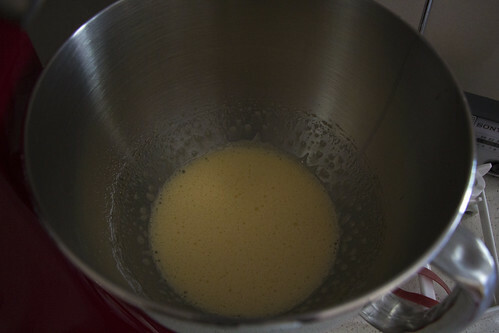 After the ice cream stiffens (about 2 minutes before it is done), add the cantaloupe. 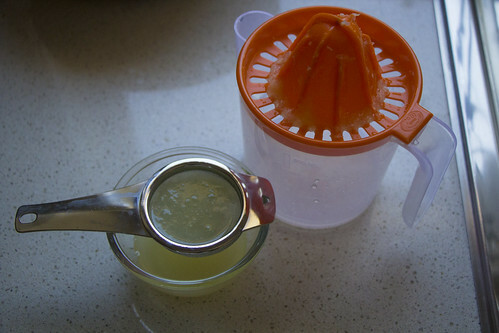 If more juice has accumulated, do not pout it in because it will water down the ice cream. Continue freezing until the ice cream is ready. 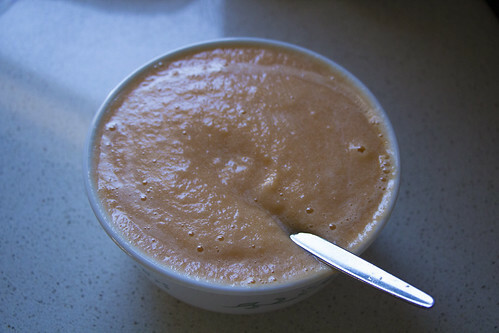 The recipe is a little vague in the quantity of cantaloupe to include, if you’re unsure add a bit less (much less than my pictured cantaloupe puree actually). 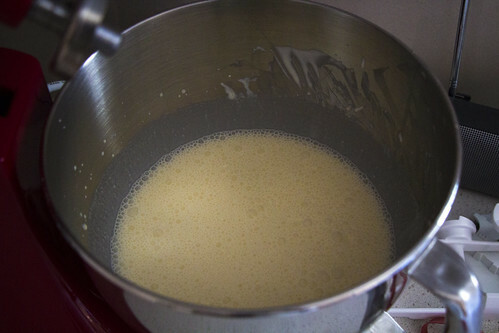 Even our small cantaloupes here result in a great deal of puree so add a bit at a time to ensure the cream base stiffens when it’s churning otherwise you may end up with a mixture too soft to become ice-cream. Mine didn’t set too firm when churning unfortunately, but still flavourwise it’s delectably rich, yet full of cantaloupe flavour. 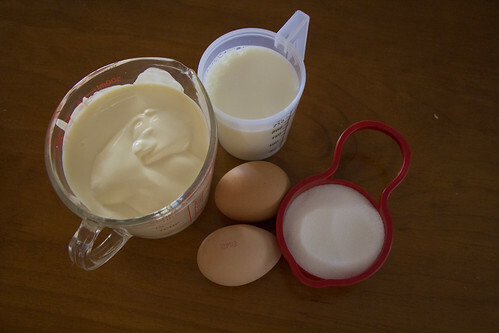 A great recipe that just needs more specific quantities to make it work 100% of the time.